Established in 1946, the Club name Kooringal is an Aboriginal word meaning ‘by the water’. Kooringal offers style and sophistication at value for money prices. 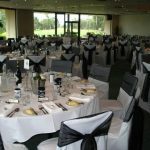 The picturesque background of our golf course compliments our function facilities with full glass windows creating a magnificent backdrop for your wedding celebration. Whether you are having a small intimate day or you’re getting all the family & friends together, we can cater to your every need. Our Head Chef and Function Coordinator are proud to present our menu which offers a vast variety of choices and can arrange all your specific catering needs. 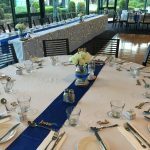 At Kooringal Golf Club we recognise that the most important aspect of any function is the enjoyment and satisfaction of our guests. That’s why we look forward to creating a tailored package that reflects your individual needs and budget. 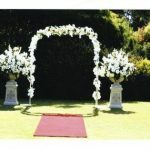 Your wedding day is all about you so let us make it that way. Take all the worry out of your special day, sit back, relax and have fun. Let us make all the celebration plans for you. © 2014 Kooringal Golf Club. All rights reserved.